Choose Life America - Choose-Life.org. 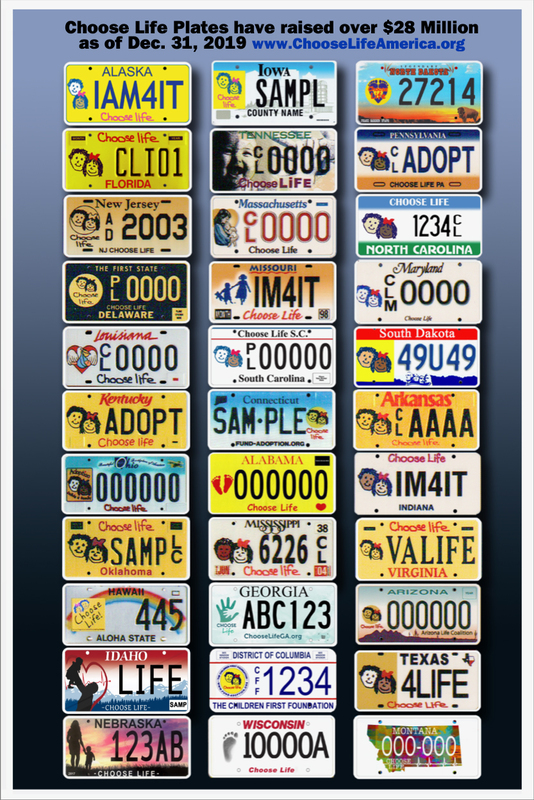 Choose Life specialty license plates and promotional items to give women an option of adoption by supplying funding to pro-adoption/pro-life pregnancy centers around the country. 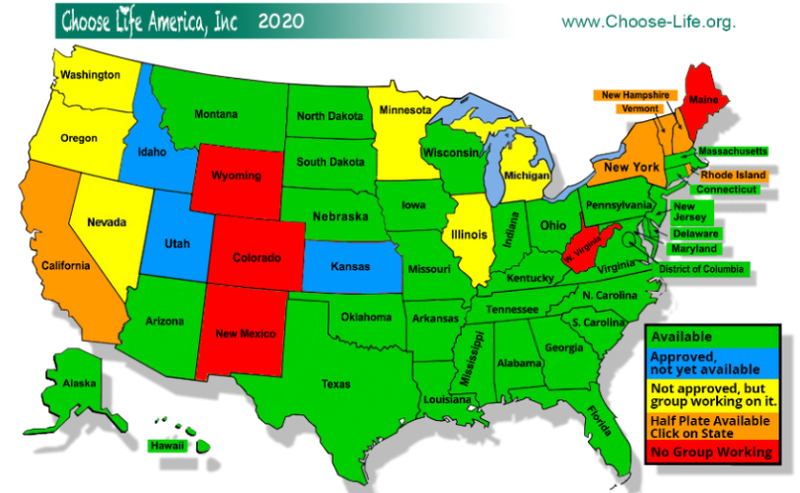 Click on your state for more information!